In the late 1930s, as skiing became a national pastime, Laramie boasted a variety of small ski areas. Summit Tavern and Happy Jack were east of Laramie while Inspiration Point, Libby Creek and the current Snowy Range Ski area were located off Highway 130 to the west. 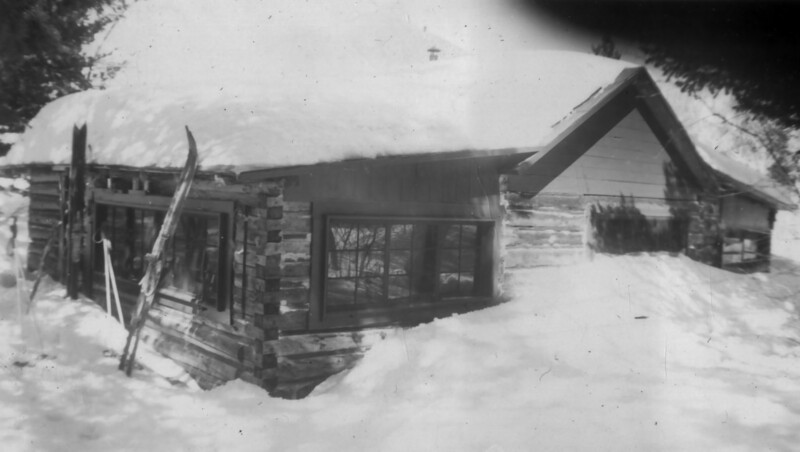 Shown here is an early ski lodge where skiers could come in from the cold to warm themselves and eat their lunches. Today, only Snowy Range Ski Area still exists but is still a favorite place for local skiers and snowboarders. Learn more about skiing in Snowy Range today.